Whether traveling by car, sea, land or air, leaving your home area can be stressful and a bit disorienting. Recently my husband and I ventured to Wisconsin with our three children 3 years old and younger and I’m pretty sure the stress of it all took ten years off our lives. Thankfully modern technology can help greatly when it comes to staying entertained, connected and in the know about the hottest restaurants and best routes to drive. Here are a few of my favorite apps when it comes to traveling. Feel free to share your favorites in the comments below. 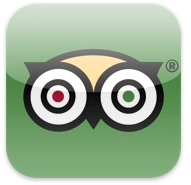 Trip Advisor (Free) TripAdvisor is now optimized for the iPhone, iPad and iPod touch. Plan and have the perfect trip with access to real traveler reviews, opinions, photos, maps, and forums that can answer even the most specific questions when you’re on the go. 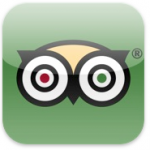 TripAdvisor is the world’s most trusted travel site with over 45 million reviews and opinions by travelers like you. Browse millions of reviews, opinions, and photos of hotels, restaurants, and attractions, then write or upload your own. Use the Near Me Now tool to discover options near you or any address you enter. See a virtual tour which allows you to see a street-level view of your destination, plus nearby hotels, restaurants, and more. The app also features a great live view tool which allows you to look around with your device’s camera to see an enhanced view of nearby places! 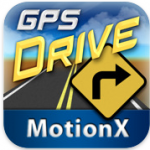 MotionX GPS Drive (.99 plus subscription) This is simply my favorite GPS navigator for the road. It’s incredibly affordable, constantly updated and has just about any feature you can possibly imagine. Easily search for addresses, save your favorites, get live, voice-guided navigation help and choose from a variety of viewing options. This incredible app turns your iPhone into one of the best GPS road navigators on the market and it’s features rival that of any other app out there. The difference is, MotionX GPS won’t cost you your first born son. It’s affordable and gets the job done with grace. 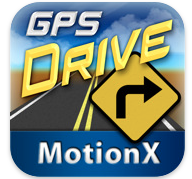 For more about MotionX GPS, go here. 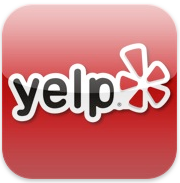 Yelp (Free) What’s worse than staying in a new, exciting city without a clue of where to eat? A place may look appetizing, but proves all-but disappointing only to find out that the modest looking diner across the street is where all the locals go and the food is to die for. The popular review site Yelp has a wonderful app that can help you pick local favorite eateries (and much more). Find out what all the locals know and hit up all the best spots in town. The app is easy to navigate and, best of all, it’s free! Creative Genius On-the-Go (.99) Need something other than video games and movies to keep the kids busy on your long car or plane trip? Creative Genius On-the-Go is a great way to keep them occupied and allow their bottled-up creativity to find a way out. 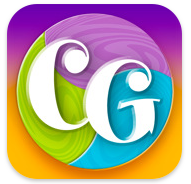 There are loads of mini activities and games within this great little app and parents can save favorites and interact with their kids in a fun, spontaneous way. I love all the wonderful springboards for fun packed into this beautiful app and if you are going to be traveling with grade-school aged children, it’s a must-have. 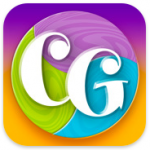 For more about Creative Genius On-the-Go, click here. Tales2Go (Subscription) Another wonderful, must-have app if you’re traveling with kids. 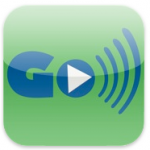 Tales2Go is stuffed full of access to hundreds of audio books for kids and adults. Do your kids like fairy tales? This app has you covered. Maybe they like more modern kids fiction – you’ll find plenty of that here, too. There are over 1,400 brand name titles to choose from, so you won’t lack from entertainment while you’re traveling. There’s even a section for parents now! The app works smoothly over 3G and wifi so you can listen wherever you are. The best part is, you get a 30 day free trial before choosing whether you’d like to buy a subscription! Read more about Tales2Go here. SOS Link (Free) Traveling alone and need a little extra peace of mind? 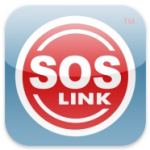 SOS Link is a great app that arms your phone for an emergency. If you get into an uncomfortable situation or are in an accident, simply open the app, and touch go and this handy piece of software will begin taking one photo per second and pair it with your GPS location and send those photos and GPS location data to your designated helper (you choose a helper when you first set up the app). You can also choose to have your helper automatically sent a text message and given an automated phone call to further alert them if you suspect you may ever be in serious danger without the ability to call 9-1-1. This is a wonderful resource. If you want to find out more, go here. 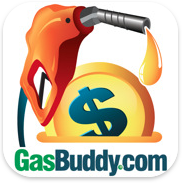 GasBuddy (Free) This wonderful little app will be your wallet’s best friend. Find the best deals on gas near you in just seconds. Search by grade, gas company, proximity and more! See a list view or a map view of all your options and (complete with station icons if you are partial to a particular company or have a loyalty or credit card with any particular one). No more driving around town comparing prices – GasBuddy does the work so you don’t have to waste time or money. 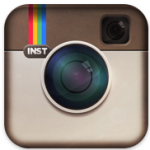 Instagram (Free) What’s more fun than instantly sharing your fun vacation memories with your Facebook and Twitter friends? Fumbling through your camera roll and uploading shots can be a bit of a pain, so Instagram makes it quick and painless. Simply take a photo within the app (or import one from your camera roll), choose a filter for the shot (or none if you like it just the way it is), add a caption if you wish then hit share and you’re done! You will be alerted if someone comments or likes your photo and you can follow other Facebook and Twitter friends who use the app as well. It’s enormously popular (3.75 million users) and for good reason! FlightTrack Pro ($9.99) The best flight tracking app out there! Import flight data automatically from any airline confirmation email and get push alerts with real-time changes to your flight. Get real-time flight itinerary updates, and beautiful, zoomable maps that even work offline. 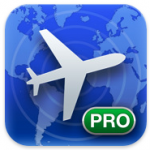 FlightTrack Pro has everything you need to stay on top of your trip. Some of its great features include: Automatically sync itineraries with TripIt, sync with your phone’s calendar, share flight status by email, Facebook or Twitter, supports multitasking on iOS 4, and add flight notes for seat numbers, confirmation numbers. It’s a bit pricey, but if you travel by air a lot, it’s more than worth it. 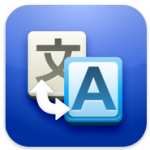 Google Translate (Free) This app really will blow your mind. If you’re traveling to foreign lands this summer, you will want to have this on your iPhone or Android phone. The app has access to a whopping 50 languages! Simply speak the English phrase you want to have translated and, in most cases, you will hear a native speaker of your desired language speak the translation. If a spoken translation is not available, you will see a written translation. The app works like a charm and makes sticky situations much easier to get through. You can even utilize two-way communication by switching languages within the app so you can understand what natives of the country you are traveling are trying to say to you. The conversation may be slow this way, but it’s much better than weird hand gestures. Starbucks (Free) One thing I just dread about long trips is the point where drowsiness sets in and driving becomes almost impossible. My husband and I are really into coffee so we always have our Starbucks radar up. 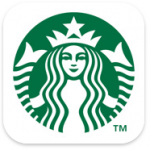 This app helps us locate nearby Starbucks stores (which we can filter by features such as drive thru, etc), store Starbucks card information, pay for drinks from the app, reload cards, view drink information, and much more. It’s perfect for getting that caffeine boost when you most need it and the map feature is simply invaluable. Easily get to a store even when you’re in unfamiliar territory. Stay tuned this summer as we cover more great apps, family-friendly technology and tips on how to keep your kids safe on the web. Hannah is an educator, mom to three wonderful children ages 3 and younger and proud wife of an Operation Iraqi Freedom Veteran. She is the founder of MyAppinions.com. My Appinions is a site where she posts reviews of iOS apps of all kinds but with a heavy emphasis on ones with educational and practical value. You can find her on Twitter @MyAppinions and Instagram as Banjonomad. I don’t know what I’d do without TripIt! Love this list. Very helpful! Thanks for this post. I find it truly helpful. I’m currently in the hunt for travel apps since the family is about to go to Amsterdam soon. I have already downloaded “25 things to do in Amsterdam” (you can check it here: http://tinyurl.com/7nwq28a) and I still need more to make our trip organized. I think I have to check TripAdvisor; I’ve been hearing a lot of good stuff about it. Thanks!